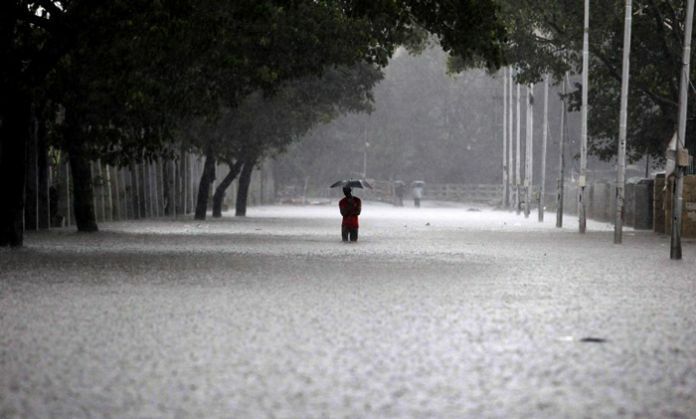 The India Meteorological Department (IMD) on Wednesday said incessant rains in coastal parts of Tamil Nadu, which has thrown normal life out of gear, is likely to continue for three more days, and urged the people residing in low-lying areas to move to safer locations. IMD Director General L S Rathore said that although the intensity of rain will lessen after 72 hours, but it will continue to pour for about a week. "The rains in the coastal parts of South India especially, southern parts of coastal Andhra Pradesh, coastal parts of Tami Nadu and Puducherry and in some interior parts of Ta mil Nadu, are expected to continue. The intensity of rains might lessen after 72 hours but the it will continue to rain for about a week more," Rathore told media persons. "Recent data shows that northern coastal regions of Tamil Nadu has witnessed around 30-35 cms of rain. The reservoirs in the region are already full, because of which the water is filling the low-lying areas. We advise people in these regions to shift to safer locations," he added. He also said that the situation is looking grim as the rains are expected in southern Tamil Nadu and Kerala as well.